Don't let the highways intimidate you . 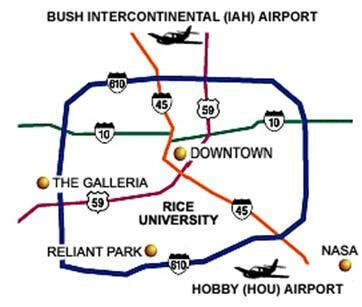 . . Houston is easy to navigate with a wide variety of choices for your transportation and hospitality needs. Houston is the fourth largest city in the United States. It is filled with diverse and world-class dining, arts, and shopping. Be sure to explore the city and enjoy your stay!